What has been around since 250 AD and is still enjoyed today? Chocolate! While it’s not in the same form as it was for the Maya civilization, chocolate is still much loved by all. That is why there is a whole day dedicated to chocolate and it is celebrated across the world. On September 13th (today! ), we celebrate International Chocolate Day. 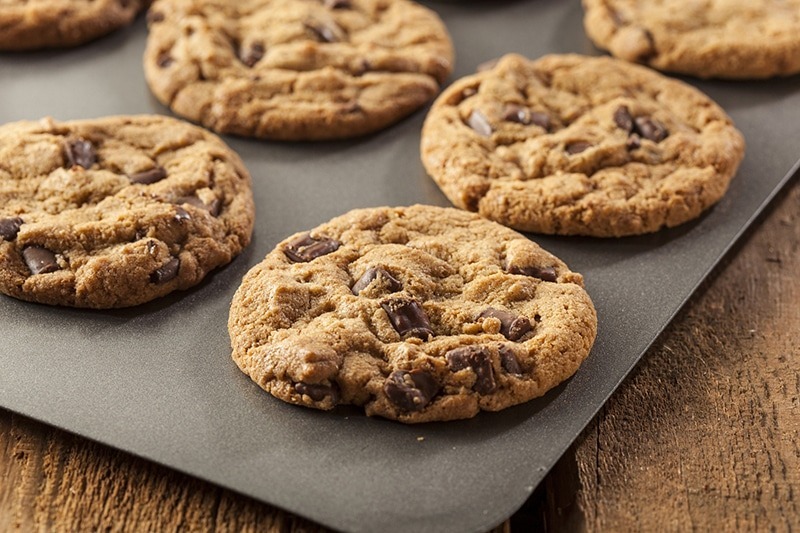 Whip up this delicious cookie recipe to join in the fun! Combine all dry ingredients in a bowl, then stir in wet to form a dough – it will be dry at first, so keep stirring until a cookie-dough texture is achieved. If needed, add 1-2 tbsp extra milk. Form into one big ball, then either refrigerate at least 2 hours or freeze until the dough is cold. Once dough is chilled, preheat oven to 325 F.
Form dough balls, and place on a greased baking tray, leaving enough room between cookies for them to spread. Bake 11 minutes on the center rack. They’ll look underdone when you take them out. Let them cool on the baking tray 10 minutes before touching, during which time they will firm up. If for whatever reason the cookies don’t spread enough (climate can play a huge role), just press down with a spoon after baking. You can also choose to make extra cookie dough balls and freeze them to bake at a later date. From the team at Kneller Agency, we hope that you enjoy this chocolate recipe! For personal and commercial insurance to suit your needs, contact us today.